Archive by Category "Small Business Blogging"
Obvious? Yes. Have you done it? Maybe not. Whatever your business model—from consultant to small business—it’s easier than ever to adopt a responsive design to ensure viewers experience an optimized view of your website. In fact, the majority of templates these days have these capabilities already built in, just make sure yours is or can be adjusted it on-the-fly (WordPress makes it easy). Remember, mobile viewers no longer tolerate sites that are difficult to navigate, slow-loading, or result in irksome moments. You can’t afford to lose them in 2014, so don’t. Shortcut: If you’re not familiar with responsive design, or want to learn how to trick out your site to accommodate mobile viewers, check out an everything responsive design site. If you’re like me, your social networks are live, well, and blasting out content on a regular basis. But how often do you check your business description, followers (and those you are following), and general housekeeping of your social media? Strangely, these are the items that get put on the back burner, even though they’re the first impression people get of your brand. Why not check, edit, and improve for a coordinated effort? Shortcut: It’s unnecessary to create separate versions of social network descriptions based on differing word counts (always tempting to reach the word count, isn’t it?). Instead use a crisp, concise summary for all networks (Bonus: You’ll never have to worry about one being outdated from another. Consistency is underrated). You might think the beginning of the year is the worst time to get in touch with customers who are just coming back to work. In reality, this is the best time to reach out. With most people still on a “holiday high”, you can snap up their attention for a quick chat, formal meeting, or lunch date. Once 2014 gets underway, they’ll be too busy with other priorities. Shortcut: Take a cue from the sales playbook. Offer a specific date and time rather than asking the other party to supply one. People are much more likely to accept or counter with another date. 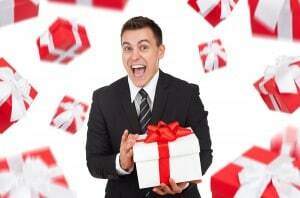 Open-ended offers, on the other hand, are more likely to be put off or ignored. Anyone who knows me can vouch for the fact that I’m not a big vacation planner. The reason is simple: When you’re a consultant, you never know when client projects will get you in a pinch (not to mention the ever-present desire to keep the revenue stream flowing). Whether you have an online business, brick-and-mortar store, or consulting service, your busy times likely fluctuate by seasons, holidays, or by client activities. Mine this information at the beginning of the year and allot your time off. It may seem like a risky move, but planned events are 99% more likely to happen if you…plan them. It will ultimately save time, money, and headaches. Remember why you made the choice to go into business for yourself. You don’t work for “The Man”; you work for YOU. Go ahead and take that vacay or staycay! Shortcut: Take another cue from the sales playbook. Ping your clients about their plans for next year (it also makes you look proactive and an excuse to get in touch). For retail businesses, study the purchasing schedules of seasonal, big-ticket, and regular customers, or conduct a quick online survey to find out buying patterns. I can’t tell you how many times I’ve made recommendations to clients based on an understanding of what’s coming next in their industry, a new marketing tactic, or other valuable information I’ve discovered. Sure, they may be familiar with some of these ideas already, but the fact that I can confirm this also validates their choice to hire me in the first place. Not surprisingly, I often get my best info by setting up an organized curating system. Whether it’s making recommendations to retail customers or clients, they will thank you for it. Shortcut: Google Alerts is not the only game in town. Check out these newer, customizable site and article curation services, or do a test run to see which ones you like. Say you’re doing email campaigns four times a year, pushing out social media content twice a week, and managing a monthly blog. That’s a lot to maintain, organize, and publish; plus you need to review analytics to determine the best performers. Though I’ve always valued articles and resources from Hubspot, it took client access for me to discover the power of their marketing dashboard. Still, they can be quite expensive for a small business. For those who view HubSpot as the equivalent of the Microsoft Evil Empire, there are many alternatives, some free (but don’t expect the bells and whistles). Shortcut: Truth be told, making a move like this is time-consuming. 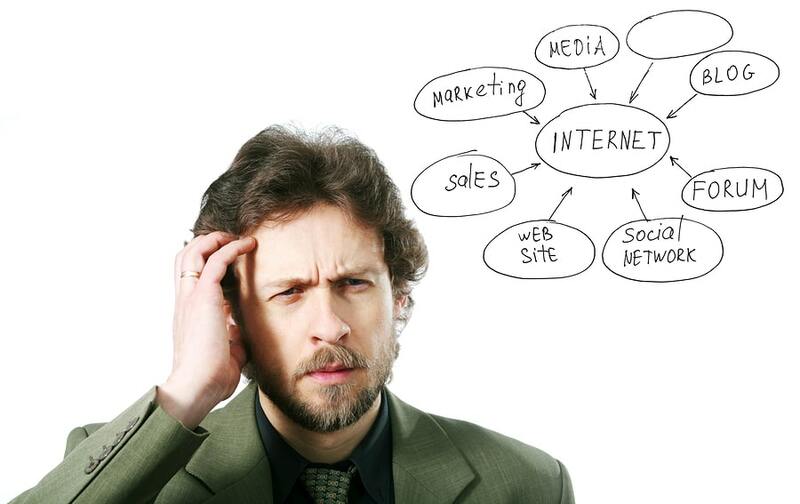 Consider adding capabilities to your marketing operations web site or software once a month. You don’t have to do the whole enchilada at one time, but at least make that first step. Bonus: Add a Resolution Wild Card: We all have something to do for our business, but often we don’t have the time, resources, or budget to pull it off. We tend to get overwhelmed with the anticipation, or we get busy with other things, or both. But think of your own wish that you want to do…and do it! 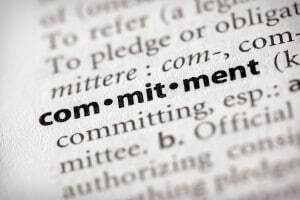 What’s your first New Year’s resolution for your business? As the calendar inches ever closer toward the new year, there’s never been a better time to talk about blogging. Everywhere you go these days, someone’s saying something about how many blogs there are and how the blog world is over-saturated. Could these ideas actually be true? 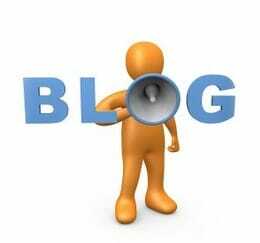 Are blogs over, or is 2014 a good time to start your own? 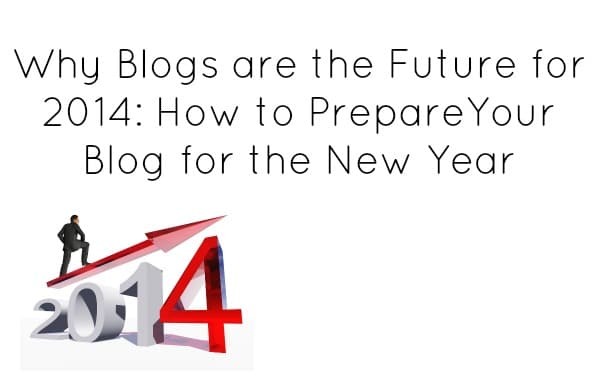 What will 2014 hold for blogs—how will things change, and how will they stay the same? If you already blog, how can you prepare your blog for the next season? To help answer those questions, let’s look at what the experts are saying about why blogs do matter—along with strategies for making the most of your blogging efforts. “Extremely Relevant.” In February 2013, Clayton Lainsbury wrote at the content marketing site Crowd Content Resources that “intelligent marketers still know that blogging is extremely relevant if you apply it properly in a social and mobile driven world.” His point is that the world is online—and blogging gives you a way to reach it. “There’s No Better Way.” In an April 2013 blog post at Social Media Today entitled “Blogging is More Important Today than Ever Before,” author Nicole Beachum said, “There is not a better way to add relevant content to your website on a regular basis than to utilize a blog.” Citing reasons like search engine optimization and keeping up with the competition, Beachum goes so far as to say hiring a professional is a savvy step. “Effective Marketing Strategy.” According to Content Marketing Institute’s 2014 Report for B2B content marketers, 62% of marketers still see blogging as an effective content strategy. “A Public Record.” There are intangible benefits to blogging, which is something personal bloggers like Lisa Endlich understand well. For individuals as well as businesses, blogging offers a place to chronicle your story and connect with like minds. Focus on Quality: Search engine algorithms are always changing, but one bottom-line principle stays the same: High quality content works. Rather than worrying about how to trick the search giants, focus on publishing the highest quality content you can. Benefit Your Reader: If you aren’t answering the #1 reader question of “Why should I care?” you’re sabotaging your own blogging efforts. Look at your blog right now—what does it offer? What do your readers gain? Why should they come back? Make those answers crystal clear in order to prepare your blog for the new year. Blog Like You Talk: As voice searching grows in popularity, blogs that are written the way people talk may rank higher. Niche = Authority: The more specific and focused your blog topic, the better your chances of becoming an authority in your field. Rather than blogging about food, for example, blog about gluten-free, dairy-free recipes. Rather than blogging about lifestyle, blog about being a stay-at-home dad of twins in New York City. Look for ways to specialize, and you become more valuable. Make the Most of Social Media: Social profiles are not only good for building relationships, but also they help you increase online authority. Search engines look at social activity—how often your blog is mentioned, linked to, etc.—to determine ranks. Know Your Goals: Gone are the days when all you hope for with a blog is a reader. Moving forward, bloggers will need to determine their exact goals (Conversions? Subscribers? New leads?) to quantify success. 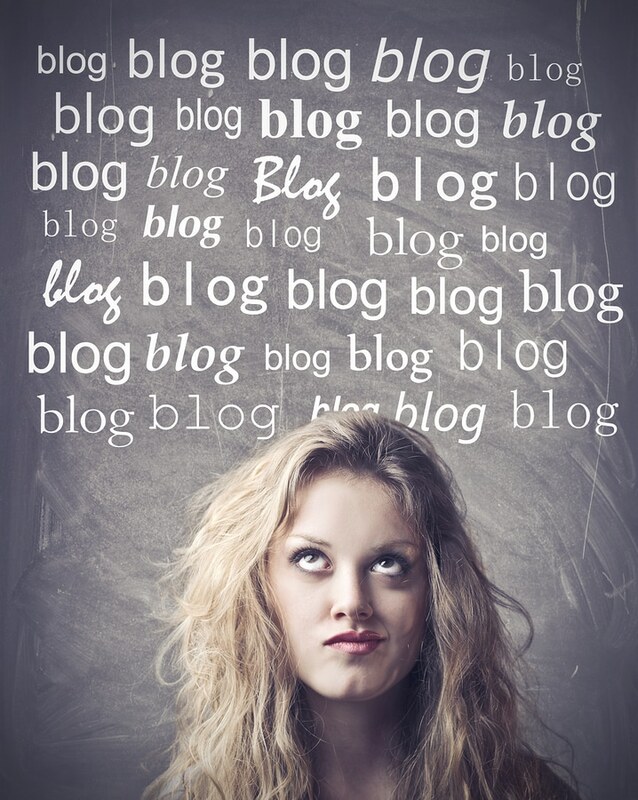 Will you or your business be blogging in 2014? What changes are you making to prepare for the new year? What changes do you think are important? Ask a dozen marketers what “branding” means and you’ll get a dozen answers. Why? Because it’s a word with many meanings, depending on who’s doing the defining. This blog alone shows 30 unique definitions, and that’s just the tip of the iceberg. What we do know is that branding is that it is the yin-yang of your business: You tell the world how you want to define your services or products, what differentiates you, and why people should trust and buy from you. Ultimately though, your brand ends up in the hands (and minds) of customers and prospects—they will be the ones collecting experiences and driving business to or away from you. Some even argue that companies have lost control of their brands altogether, unintentionally passing the baton to consumers, thanks to the power of social media. That’s why it’s even more important to exploit the brand equity you do have with the vast web connections, from your web site to social media presence to search, and anywhere else your business lives. Starting from the outside in, your blog should walk the walk as a natural extension of your company name, logo, color scheme, and all other tangible elements that make up your brand identity. The best way to stop that natural flow in its tracks is to publish a blog that lacks brand identity. A company blog should be a seamless transition from anywhere you’ve marked your (brand) territory: a real-world meeting where your business card was passed, a visit to your store, an eBook you wrote, or a transaction on your site. Make sure to give your blog a name—not just a “blog” section on your web site—one that reinforces who you are and what you do (My business name is LiveWire Communications and my blog name is Marketing Sparks. Get it?). And don’t forget about a tagline so readers know what your blog is about (Mine is “Insight about Advertising, Marketing, and Branding.”). Of course your blog should not only walk like your business, it needs to talk the talk too. Speak in your brand voice at all times: Is it funny? Conversational? Whimsical? Even if you’re a number-crunching accountant, you can still let your personality come through (unless you’re crabby). The tone, style, and words that you use act as a conductor for your brand. Be true and authentic, whether you’re a storefront or a one-person shop. No one would question speaker and self-proclaimed “Unstuck-er” Erika Napoletano about this: Whether or not you like her cussin’, in-your-face style, her brand is illuminated in every word of her blog, even the four-letter ones. That also goes for your “About” page too. This is a great opportunity to showcase and reinforce your brand story. It’s pretty easy to be a “Me Too” when it comes to blog topics for various industries. You can go outside the lines, but only so far. Your blog is a prime opportunity to bring out the uniqueness of your brand, no matter what the post is about. Marc Sheridan turned River Pools blog into what it calls itself “…the most educational swimming pool blog in the country” through his efforts to educate and inform readers on the pool industry (which he turned into a successful content marketing/speaking career as The Sales Lion). Conversely, another tactic is to deliver contrasting point of views from industry bloggers. For instance, if all graphic designers are writing about the hottest trends in typography, write about the suckiest fonts instead—you’ll stand out for your knowledge in a different way. Another way to continue brand extension in your blog (and amp up your content promotion while you’re at it) is to leverage a thought-provoking quote, stat, or visual from a post and blast out to your social networks at various intervals. It will make a brand statement and also serves as a call- back to the blog while you’re at it. And don’t forget to make thoughtful, impactful comments on related blogs, this can be another great opportunity to put your branding stake in the ground. Reinforcing your brand in your blog can be also be achieved by bringing someone else into the writing mix. Think interviews, quotes, or a guest posters. And I’m not talking about using a generic quote from Abraham Lincoln here; more like showing your affinity with a thought leader, industry luminary, or cheeky scofflaw who will draw attention. This will speak volumes about who you are (not to mention getting your blog some back links). Still stumped on how to bring out the essence of your brand? Conduct a brand audit to get more clarity. That may seem fancy pants if you’re a consultant or small business, but it can also lead to valuable insights. Do a free quickie one with a consultation, download a tool, or ask yourself a few pointed questions. Doing these exercises can help reveal the true essence of your brand and point to any disconnects communicating to your audiences. If you’re strapped for time, try Wordle to visually capture brand descriptors and get a snapshot of who you are. After all this soul-searching, you may find that your brand is not reflecting what your small business is about, and it might be time to rebrand—but we’ll save that subject for a future post. What tactics do you use in your blog to bring out your brand? One of the biggest marketing gurus in the country, a well-known author and researcher, also happens to be one of the most erratic bloggers I’ve come across—her smart, insightful blogs are published randomly. Sometimes I’ll get two in a week, other times it’s months before I see a post. It makes me wonder: if this big marketing name can’t crank out a regular blog, what hope is there for us poor souls running a small business? The answer is easier than you think…but only if you make blogging a priority by really committing to your blog. I sometimes run across corporate and small business bloggers that aim to post every day of the week. Their reasons vary, from building up SEO to outblogging the competition. This is an admirable stretch goal, but is it realistic while running a small business? Doubtful. 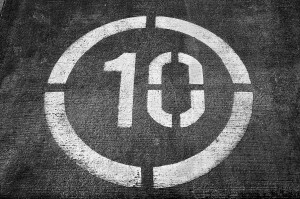 The first step is to take an unflinching look at your time and how much you can devote to your blog. Chances are you’ll have to recalibrate the ideal frequency from the day-to-day tasks of running a business (not to mention putting out fires). Is it once a week? Twice a month? Or Some other cadence? Once you accept that baseline, planning will be easier. If your honest answer is once every three months, wait for a time when you can devote more energy to it. Wherever you end up, bolt that frequency onto your schedule and be accountable to it. If you miss a post date, don’t blow it off because you’re “busy” or don’t feel like it. Finish up writing as close to the original post date as possible. Otherwise, you could end up on a slippery slope delaying more, making excuses, and before you know it, it’s RIP, blog. Not surprisingly, one of the reasons blogging gets pushed to the side: it often does not generate income in a direct way. Your blog might get comments, shares, retweets, and likes, but kudos don’t pay the bills, right? Because I’m in marketing, promotion is in my DNA, but if you’re busy running an insurance, retail, or other type of small business, you are likely more focused on the guts of getting and doing business. That doesn’t mean you don’t understand the importance of marketing, but it might not be your number one focus. No matter what you are selling—services, products, or something else—the key is to view your blog as a strategic, fundamental part of your brand; not something you can turn on and off. Your customers and prospects will appreciate you blogging consistency, and it will also help instill trust in you as a business. That’s why you should be ready to catch those gems before they disappear, never to return (trust me, the older you get, it will happen more frequently). Don’t rely on your “great memory” when it comes to those moments. No matter how organized you are, we all still need a little helpnow and then. Luckily there are endless task-master sites, tools, and apps to organize your ideas, random thoughts, and future blog fodder. Having them in one place, on-hand is the first step to incubatinga future post. Most of these tools are no-cost at the basic level and offer a premium upgrade. Some of the biggies are: Evernote, Toodledo, Rememberthemilk, and the wittily named Tjjeklist and Wunderlist. Here’s a comparison list. OK, now that your ideas are organized in one place, you know what you want to write about for your next next post, but you still have to sit down and do it. That is often the hardest part and when a well-timed bout of procrastination can kick in. There are a lot of ways to fight this urge. Besides a cornucopia of books, articles, sites, and tools to help get initial thoughts on that blank computer screen, there are shortcuts that can help: Written Kitten as promised, shows a kitten at selected intervals (wonder when the puppy version comes out). Write or Die takes a more dramatic approach with its “gentle” to “kamikaze” non-compliance settings. This post also has several ideas to help you get that post done when it is fighting you. Also be aware of your personal blogging habits: some people thrive on deadlines, others freak out with anxiety about The Looming Word Count. The key is to know your writing personality. I like to write my posts slowly but surely, starting about a week before, ideally, then edit (and edit). I know if I start a post the day before, it simply won’t meet my standards. Of course, you can also use an editorial calendar to keep you on track. This may seem too formal for a small business or feel like extra work, but plugging in topics and dates will keep you focused on the big picture and reinforce your commitment. Besides, what a great accomplishment to see the blog post published on the day you planned for it! There are many editorial calendars to choose from, but if you want to keep it simple and integrated, WordPress Calendar can help (.org site only). Heck, you can even use Microsoft Excel or Google Calendar, but using a tool built as an editorial calendar offers more features and functions. However you get yourself on track for your small business blog, keep a schedule, be committed, and most importantly, know that your blog can make a big difference— both for your business and your readers. 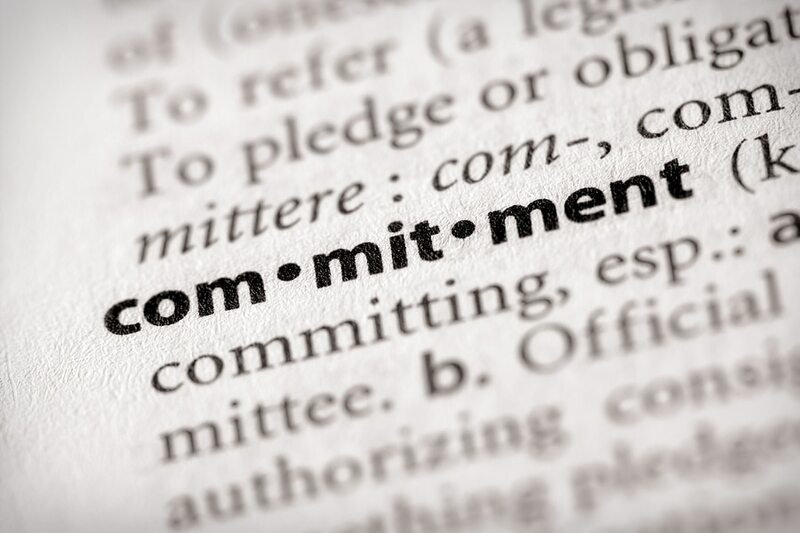 What are your tricks to keep committed to your business blog? As a small business owner, keeping a blog going can be extremely difficult. Blogs are only useful if they are updated regularly, but devoting time to a blog isn’t always possible, especially if you don’t have the resources to hire a blogger. 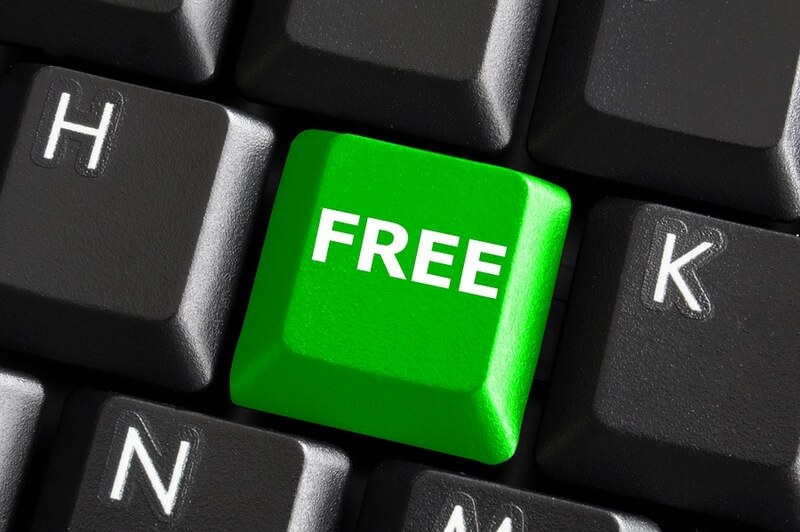 But what if I told you there were some places to find free blog content? If you could find free blog posts, would you update more regularly? Who knows a lot about your industry? Contact that person and ask for an interview. People love to be interviewed, and this is one of my favorite sources of free blog content. It strokes the ego when someone thinks you know enough about a topic to be interviewed. Personally, I always jump at the chance to be interviewed! Text interviews require the least amount of time because you just send off a handful of questions and the person answer them. Think about who in your industry could be really beneficial to your potential customers. For example, if you own a lawn care business, is there a florist in your community who could talk about the best flowers for different soil types? Or if you run a bakery is there a dietician in your area who could talk about how to add desserts into a healthy diet? If you’re willing to put in a little more time, audio or video interviews with experts can also be extremely effective for the same reasons. People love to hear from experts. Audio or video interviews can also be cut so you’re presenting little snippets over time, which allows you to stretch the free blog content even farther. With a text interview, a single paragraph answering a question probably doesn’t warrant a stand-alone blog post. But if someone talks for a minute about a specific topic, that can be a very effective stand-alone video. In fact, some data suggests that shorter videos perform better. So, don’t feel like you have to produce an hour-long video to be effective. Record that long interview, then cut it up to use it for several blog posts (and at the end, share the entire thing uncut as well). If you don’t have the time, talent, or interest in recording videos, either with experts or on your own, no problem. YouTube, Vimeo and other video sharing sites are filled with interested videos to use on your blog – and most people want you to take this content for your blog posts. That’s why they make embedding the videos an option. Simply look for interesting content related to your niche, write a quick intro, and post it. Be careful, however, that you aren’t posting videos from your competitors. If you’re a mechanic and you post a video about changing your oil that then promotes a different shop in your community, you’re not doing yourself any favors, even if the content is interesting. Just like video sharing sites, image sharing sites can be a great source for free blog content if you work in a very visual industry. For example, if you’re a wedding planner, you could find images on Flickr of cool bridal hair and post “100 unique ideas for wedding hair styles” or if you’re a travel agent, you could post “10 beautiful beaches you have to see to believe.” These posts require very little writing on your part. Note: ALWAYS use images that are uploaded with a license that allows you to share and credit the work as the owner specifies. If you want to use an image from the general pool, get permission in writing first. The comments section of my blog is one of my favorite places to find free blog posts. Often, members of my community will ask great questions that I can flip around so they become their own blog posts. And if your blog isn’t getting a lot of comments? Ask for questions! Sometimes, readers just need a little prompting to actually leave a comment. Ask your readers what their biggest challenges are (relating to your industry) and answer each question you receive with a separate blog post. Along the same lines, you can also find questions and statements from people via social media sites. You can even embed Tweets and Facebook statuses directly into your blog posts. The bonus here is that not only are you finding free blog content, but you’re also interacting with potential customers. Make sure to share with these people the blog post you’ve written, and often they will promote your link, so you gain even more exposure. Remember, always give credit to the person who originally said whatever you are quoting by linking back to their blog. Link resource pages are awesome for your readers and require little writing work on your end. You do have to spend the time to gather the links, but if you’re reading a lot about your industry anyway, this isn’t difficult. Our Brilliant Bloggers series is a great example of how a list of links can be inspiring and educational for your readers. Visual information, especially in infographic form, is always extremely sharable. However, you don’t have to have graphic design skills to post this kind of blog content (though there are several sites to help you do this if you have the time and inclination). Often, if you see an infographic online it will be accompanied by embed code so you can share it on your own site. You can also find free infographics to use by visiting sites like Visual.ly. Guest blogging (i.e. 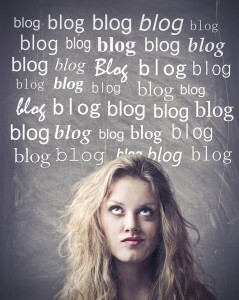 writing blog posts on other people’s blogs) is a great way to get exposure for your own blog. So, others in your industry might be interested in providing some free blog content in exchange for a link. Don’t just wait for people to come to you. Extend the invitation. Guest blogging is different compared to the past, so often people wait to be invited instead of reaching out. Not everyone will say yes to you, but by having even a few guest bloggers a month can help you keep your blog fresh. When someone writes a great guest blog post for you, turn them into a regular contributor. All you have to do is ask. Not everyone will be interested, but some of your guest bloggers will happily provide high-quality, free content for you once or twice per month in exchange for a link. Just be wary of guest posts and contributors who are in competition with you. If your blog links back to your competitors, you’re not drumming up business for yourself–you’re just sending them to someone else. Choose your guest contributors wisely. Depending on your industry, sponsors might be a great source of free content for your blog. For example, let’s say you run a radio station. Maybe one of your restaurant advertisers could write about their top favorite songs to play during a romantic dinner. Who works in an industry related to your own? If you have partnerships with other local businesses, these people make great guest contributors, even if they don’t have blogs of their own. For example, if you’re a hair salon owner, maybe the spa owner down the street will write something for you. By partnering with like businesses, everybody wins. Like with guest posters and contributors, usually all you have to do is ask. Are you an affiliate for any products or services? Ask if they have content you can post. Often, affiliate programs give you access to free blog content that you can simply tweak a bit and post on your own blog. As a bonus, this content is typically crafted to sell as much as possible, so you’ll make some extra money as well. Lastly, don’t rely on just YOU. If you’re having trouble blogging, ask your team for help. Not everyone will be a great writer, but some people will rise to the occasion. If you have four other people on your staff and they each write just once a month, that’s a post per week! And don’t believe them when they say they have nothing to write about. What questions do they get asked most often from customer? What do they wish people knew? What’s the hardest part about their job? Help them come up with content ideas and before long, you’ll have a stable of writers working for you.